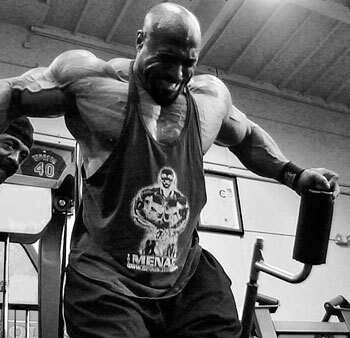 Join Dennis James as he takes you through his pre-contest 3 day training cycle in the world famous Gold's Gym in Venice, California. This 2 hr and 20 minute training video will bring you along as witness to every exercise in his routine as it happens on the gym floor. Creatively edited to highlight the most interesting portions of each movement accompanied by a powerful, awe-inspiring soundtrack. Intercut with Dennis's gym training are candid mini interviews covering a wide variety of subjects from his nutritional points of view, competitive history, motivational aspects and pre-contest dieting to name a few. 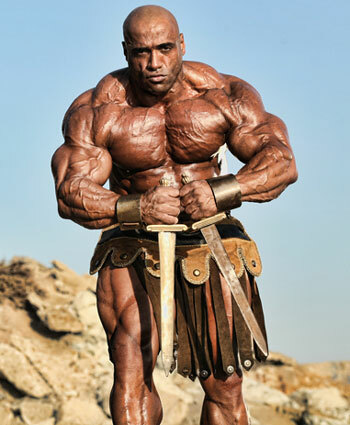 A lighthearted special feature insert takes us to Venice Beach for an exclusive Flex magazine photo-shoot with Weider champs Silvio Samuel and Brandon Curry as Dennis is interviewed by top Flex writer Shawn Perine. 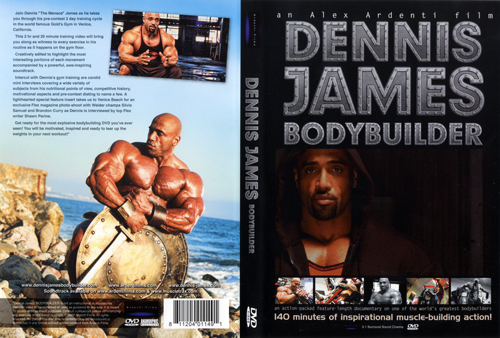 Get ready for the most explosive bodybuilding DVD you've ever seen! You will be motivated, inspired and ready to tear up the weights in your next workout! See Dennis James in BACK TO BASICS #1, A-1077DVD. See Dennis James in BACK TO BASICS #2, A-1105DVD. See Dennis James in DENNIS IS "THE MENACE" JAMES, A-4312DVD. Still photos copyright Alex Ardenti inserted throughout movie. Plus Shawn Perine from Flex Magazine cafe interviews. This is an Alex Ardenti Production.